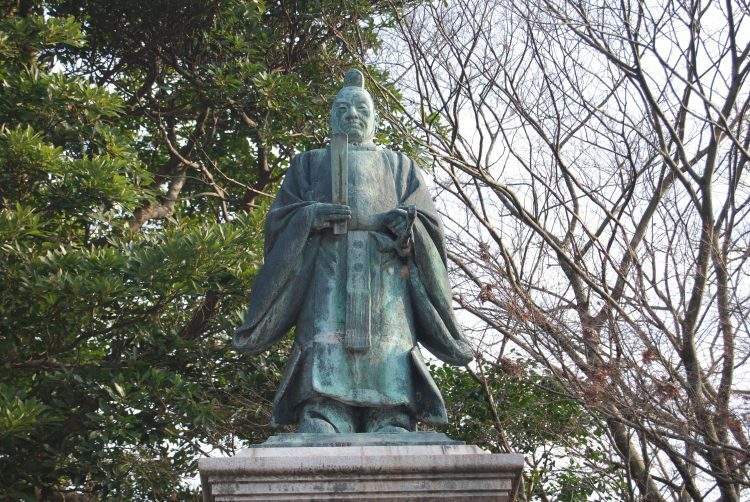 This bronze statue of Naosuke Ii, a high-ranking officer in the shogunate, stands before Konki Park. Naosuke Ii was born the 14th son of the 11th castle lord of Hikone. He was promoted to the role of chief minister to the shogunate government of Japan in 1858, and in June of that same year, affixed his seal to the Harris Treaty that opened the formerly closed Japan up to the West. Despite Naosuke's great accomplishments, on March 3rd, 1860, he was brought to a violent end by a group who refused to place their trust in the minister, staining red the spring snow before the Sakuradamon Gate of Edo Castle. Naosuke was 46 years old at the time of his death. This bronze statue depicts Naosuke in the formal dress of his last governmental position, Lieutenant General of the Left Imperial Guard.